Home L.A. History 4 Oil Wells Hidden in Plain Sight in L.A.
Oil wells are hidden all over Los Angeles, some more cleverly than others. From the so-called Tower of Hope to a facade designed to look like a synagogue, here are a handful of spots where black gold is being pumped to the surface. 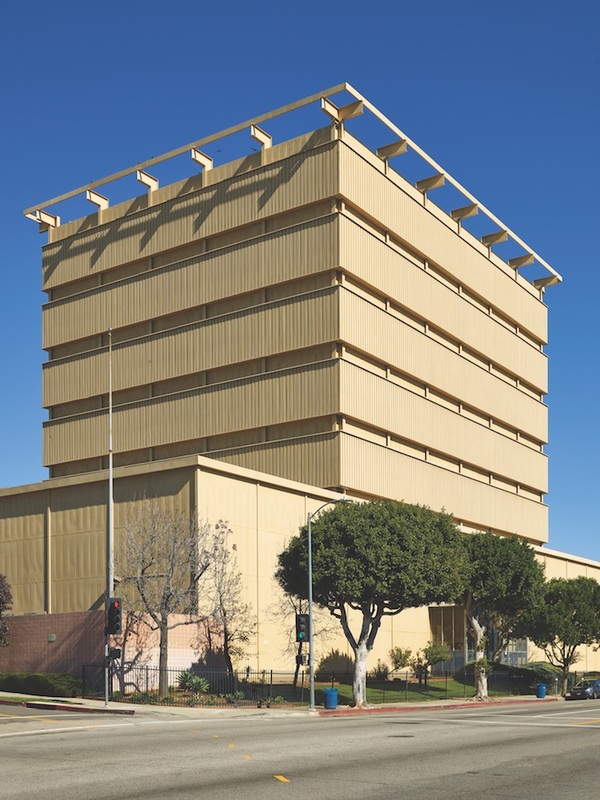 Tucked on the western side of the Beverly Center, this Sentinel Peak Resources rig peeks out from behind tall walls and foliage, barely visible to passersby on San Vicente. 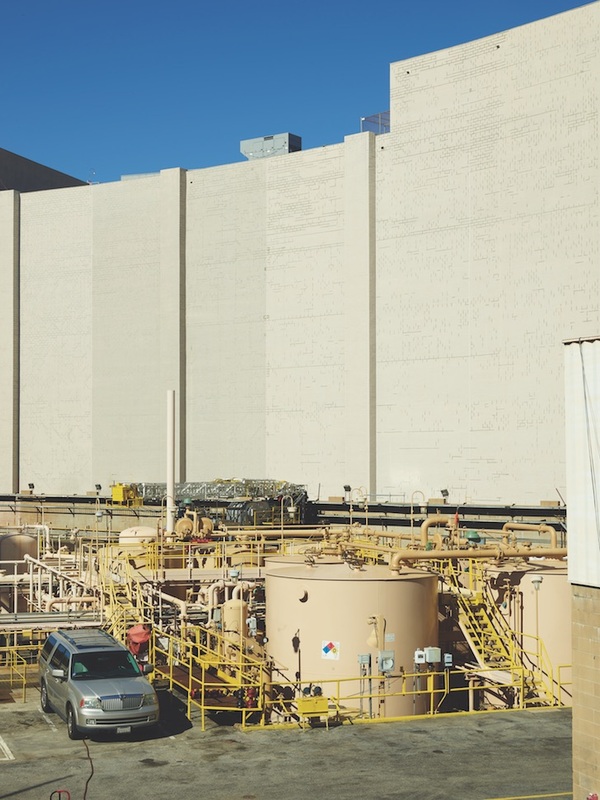 From the top of the mall’s parking garage you can scope the site’s full expanse, which includes 54 wells that tap into the Salt Lake and Beverly Hills oil fields and produce tens of thousands of barrels of black gold every year. 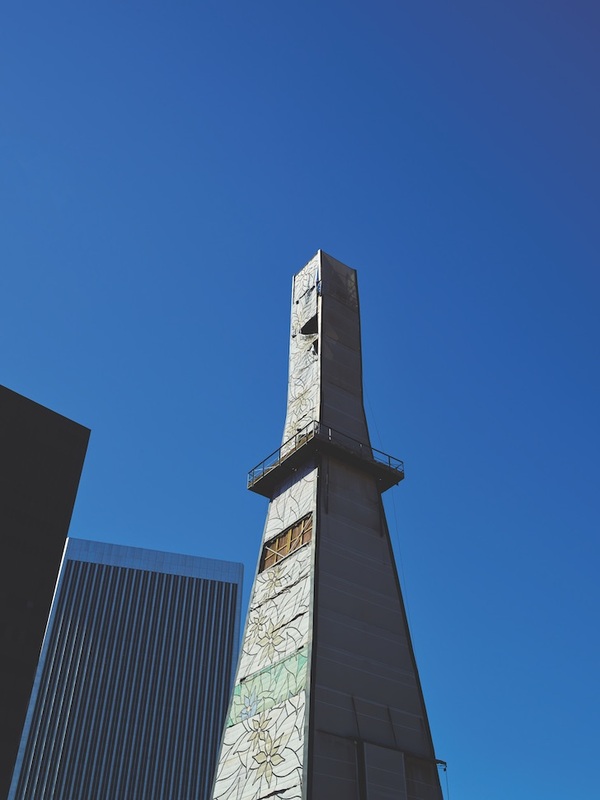 The 165-foot derrick at Beverly Hills High was dubbed the “Tower of Hope” in 2000 and clad in a vinyl, sound-absorbing sheath festooned with flowers painted by hospitalized children. 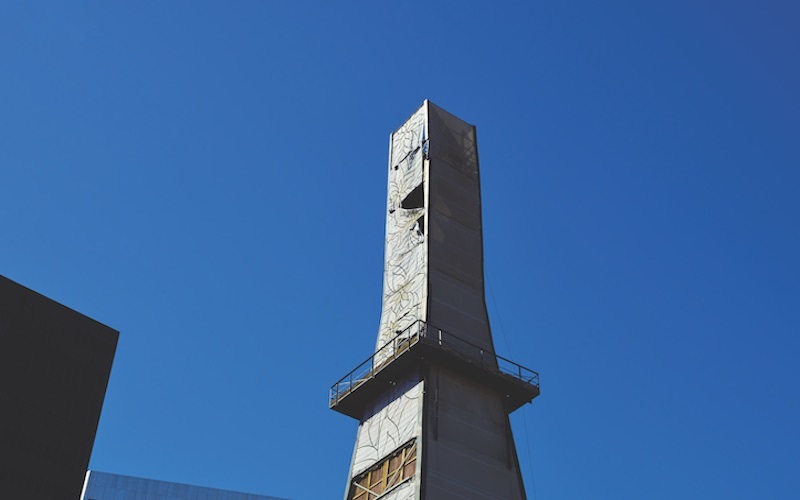 Lawsuits claiming chemicals associated with the rig caused cancer were either dismissed or settled, but after owner Venoco went bankrupt, the decades-old drilling site was shut down in July 2017. The Pico-Robertson neighborhood has been a Jewish enclave since the end of World War II, so it makes sense that then-owner Occidental Petroleum disguised this drilling site at Pico and Cardiff as a synagogue in 1966. 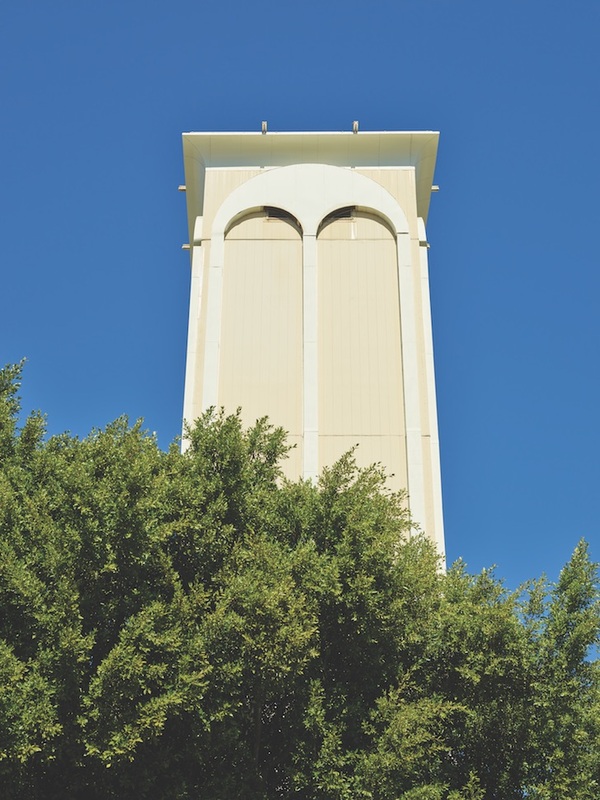 Rebuilt in 2001, the pseudo-shul (now the property of Pacific Coast Energy) is home to 40 wells, which are accessed by a movable derrick that taps the same oil field as the Tower of Hope.